/ 3 BHK - 1400 Sq.ft. 3 BHK Builder Floor for Rent in Panchsheel Park, Delhi - 1400 Sq.ft. Newly developed beautiful builder flat with stilt car parking located in very quiet place. Corner building 3bhk with modern attached baths, Drawing/dinning, Modular kitchen, Air-Conditioner fitted, Marbled flooring and wooden works done. 1. South/central delhi:- Vasant vihar, Shanti niketan, Westend, Anand niketan, Hauz khas enclave, Sda, Safdarjung enclave, Green park, Gulmohar park, Niti bagh, Anandlok, Panchsheel park, Greater kailash part i, Ii, Saket, Malcha marg, Jor bagh, Golf link, Sundar nagar etc. 2. Gurgaon:- Aralias, Magnolias, Laburnom, Palm spring, Ivy tower, Bellaire, Westend heights, Park place, Ikon, Varandas, Catriona and many prime residential flats of golf course road and dlf city. 3. Farm houses:- Westend greens, The greens rajokari, Pushpanjali farms, Vasant kunj farms, Dlf chattarpur farms, Asola, Mandi, Radheymohan drive etc. Built Up Area : 1400 Sq.ft. 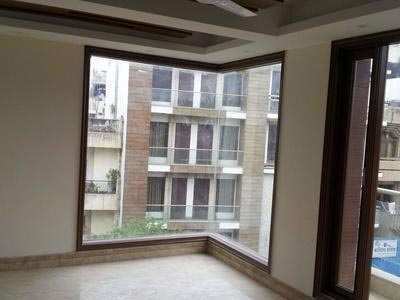 4 BHK / 2250 Sq.ft. 1 BHK / 440 Sq.ft.